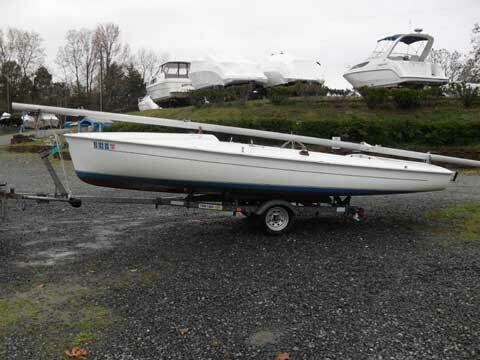 This boat is in great shape and is ready to go. She was reconditioned by Flying Scot Inc. in the fall of 2008. Flying Scot sailboats are very easy to launch, easy to sail and single hand. They are built well and built to last. They can be launched in 12 inches of water. 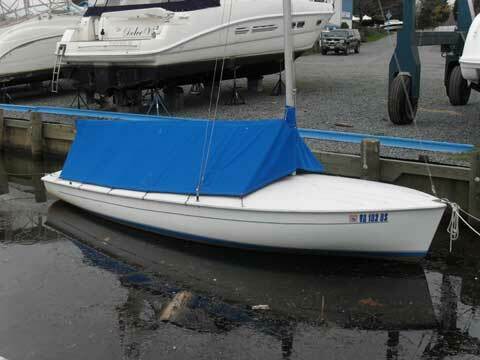 The Flying Scot sailboat has been in production for 41 years with no hull design changes. This Flying Scot has a white hull and deck with blue waterline stripes. The bottom is painted with Micron CSC Red bottom paint. 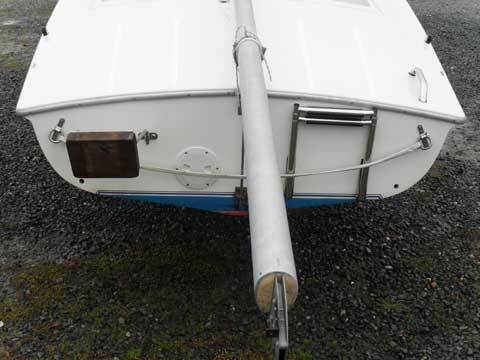 1 Spinnaker and spinnaker pole and sail bag. 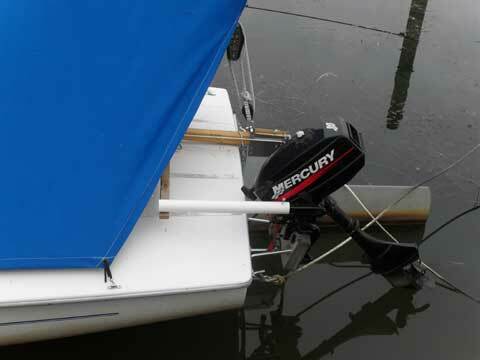 2003 Mercury 3.3 HP 2-stroke outboard, S/N OT258453. Runs Great !! 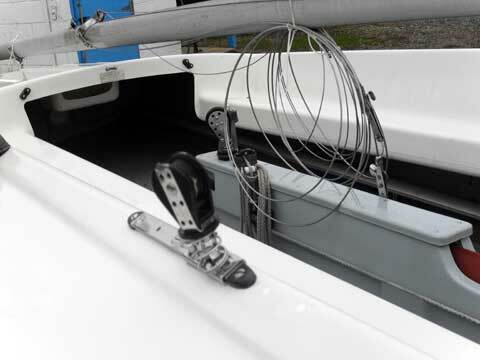 1984 TENE trailer in really good shape, wiring is good and the lights are operational. Flying Scot was sold on Saturday 12/12/09 for the Asking Price.